This classy birthday hanger will look great on your wall to remind you of your next big celebration! You will make the birthday “mini album” using luggage tag holders. After the birthday has passed, you will simply flip the chart to the next page! This awesome decoration will make sure you NEVER forget your next important birthday again! 1. Paint the Frame and the middle of the bead board sections with the antique white paint. 2. When the paint has dried, sand the frame lightly. This will remove the wood “hairs” and make your project feel smooth. Then, apply a second coat of paint. 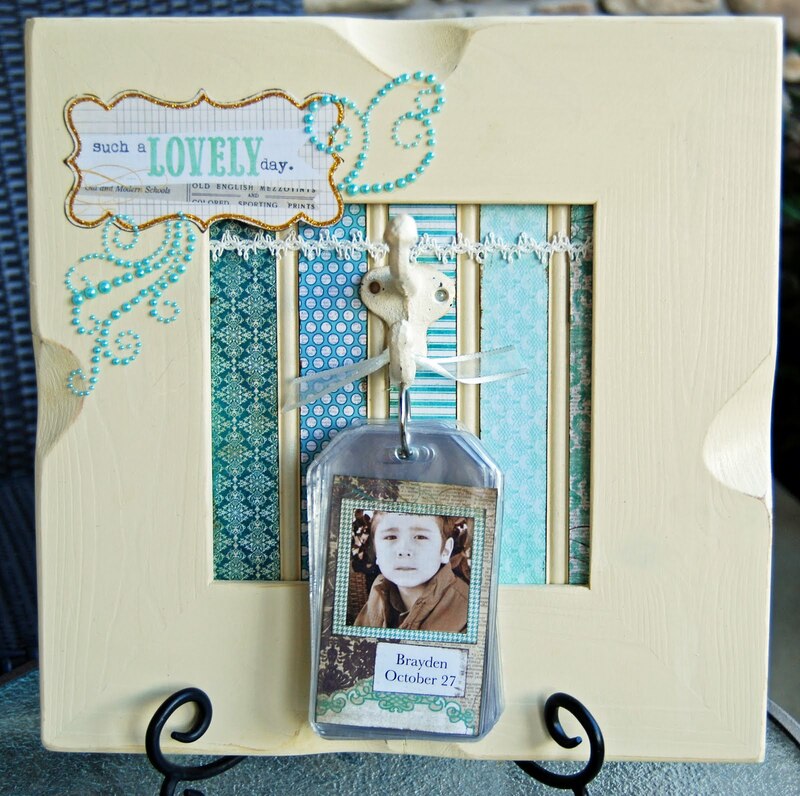 Using Sand paper, “antique” the edges of the frame. Mod Podge the top of the wood frame. 3. Cut (2) 1 1/8”x6” strips. Ink the edges of the strips with brown ink and mod podge onto the beadboard. I cut 2 strips because I had to overlap the paper and make it long enough. Modpodge the top of the paper. 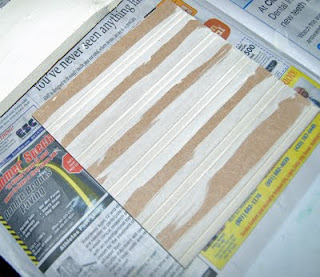 I attached the cream ribbon across the seam of the 2 papers as shown so you don’t have a seam showing between the 2 papers. 4. Glue the metal hook to the bead board using e9000 or any other strong glue. 5. 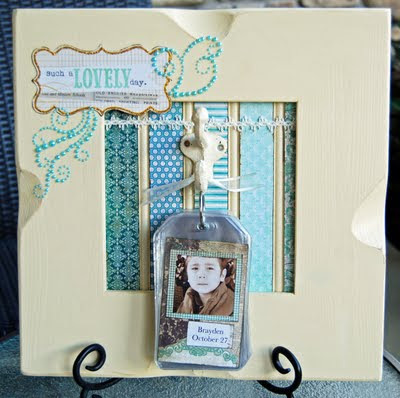 Mod Podge to the top of the frame as shown. 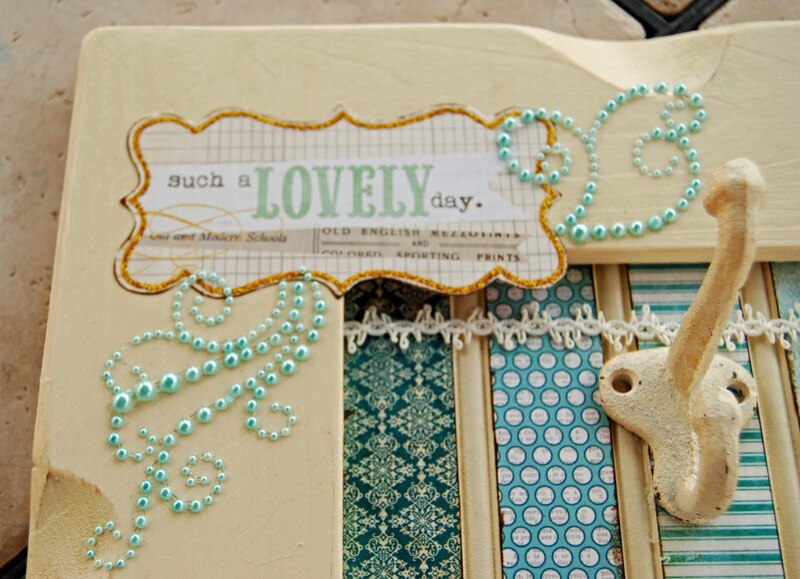 You can mod podge right over the glitter! 1. 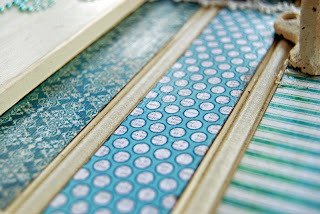 Cut as many papers as you will need for the birthdays from the 6x6 pad. They need to be cut to be 2 5/8” x 4”. 2. The pictures were printed to be 2”x2” and the photo matte behind the pictures are 2 ¼” x 2 ¼”. 3. Type the birthdays in your favorite word processer and then cut to adhere to the page. The font size I used was 18 and it was Baskerville. 4. Ink the edges of all papers with brown ink. Most items for this project can also be found on our website www.aPage4allSeasons.com under the category "Good Things Utah" Project. You can also see more 6x6 paper selections under My Minds Eye in Lost and Found 2 and Six by Six.